.. bulk of our wildest, most scenic and possibly most romantic countryside. ..The Hound of the Baskervilles. ..1. older, harder, more resistant rocks, which form blocks of higher ground. ..2. the soils are often less fertile making them less favourable for farming. ..3. the climate, tends to be more severe. .Rewilding = the mass restoration of ecosystems. Op de onderstaande kaart kun je de uplands goed vergelijken tussen Engeland, Schotland en Wales. is een groot gedeelte daarvan zelfs boven de 2,500 ft (±760 m). hier is een gedeelte nog boven de. 2,500 ft (±760 m) is. • De uplands zijn in de kaart de licht- en donkerbruine gebieden samen. .. still feel part of the upland rather. than the lowland zone. lowland England (the warmer, drier south and east). heat-demanding plant species in lowland England. North York Moors naar de oostrand van Dartmoor. De uplands bevinden zich dan allemaal ten noordwesten van die lijn. ( Ten zuidoosten v. d. diagonaal is alles lowland ). onder de 1,000 feet (slechts enkele topjes steken er bovenuit). lowlands. Denk aan bijv. North Downs, South Downs, The Chilterns, etc. zijn de Ardennen het upland. De rest is lowland. 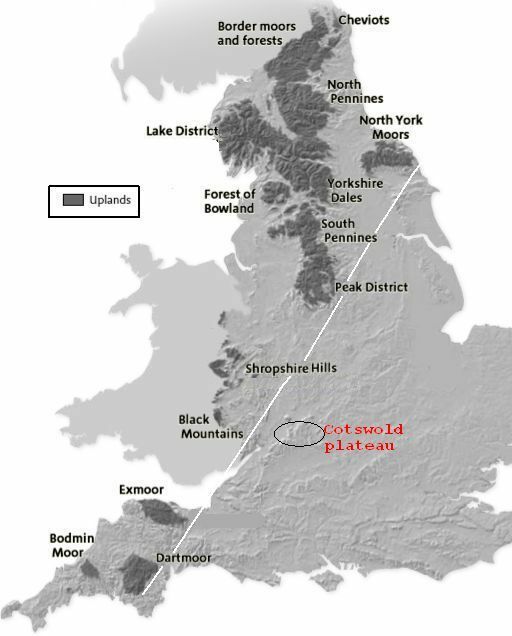 Upland= land lying above the limit of enclosed farmland. • Cheviot Hills (815 m = hoogste top) . • Welsh Borders: Black Mountains (... m), Shropshire Hills (540 m), etc. • Exmoor (519 m), Dartmoor (621 m) en Bodmin Moor. .. - the arctic-like plateau of Ben MacDui in Scotland. .. share in common ? .. empty, bleak, desolate and hostile. Er zijn echter gebieden waar geen enclosed farmland is (denk o.a. aan de Northwest Highlands en de Hebriden). ..(afrastering) marking the upper limit of a farm. .. and the uplands is much more fuzzy but, none the less, real. .. that are direct consequence of our actions. tree - planting and deposits of atmospheric pollution. 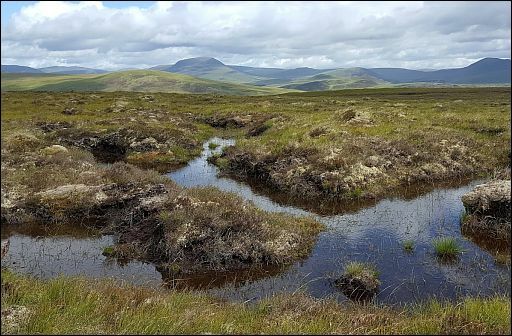 • Blanket bogs by region based on 5 km gridded data of blanket peat presence. 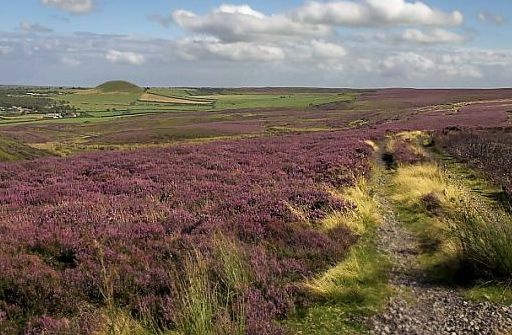 • Upland heath ( heather moor) in the North York Moors. • Het is niet omheind (unenclosed) heideveen dat beheerd wordt voor grouse shooting. Upland heath occurs on steeper slopes than blanket bog. - Bell heather (Erica cinerea). - Western gorse (Ulex gallii) occurs in the south and west. - with a carpet of mosses including Sphagnum species. unenclosed and subjected to extensive livestock grazing. Die grens ligt gewoonlijk op grofweg 1,000 feet (± 300m) boven zeeniveau, maar in Noord-Schotland ligt ze veel lager, soms tot op zeeniveau. flexibility to overcome the poor physical conditions of the environment. the latter of which has little wildlife value. or other land which has been enclosed from the open fell. grasses for (cattle) and sheep. 3. In the open fell is the unenclosed rough grazing. It is lying above the fell wall. 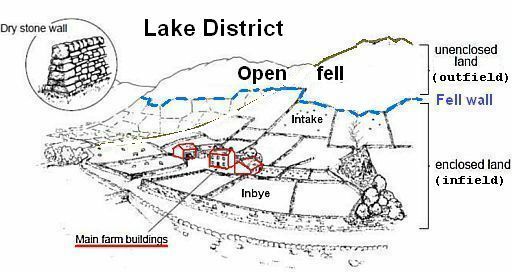 it, populating an area of land referred to as a heft . rough grassland and blanket bogs. 2. intake = semi-improved pasture taken in and fenced from the hill. ..................... blanket bog ( fell = northern term for hill. hay meadow = enclosed grassland managed for the purpose of ........................ gathering hay, usually cut once a year in the summer. ................. they have been bred. on it. These fields are fertilized. ................. may not be improved. pasture = enclosed grassland for the sole purpose of grazing stock. the altitudinal limit of trees (the tree-line) (= bosgrens) . 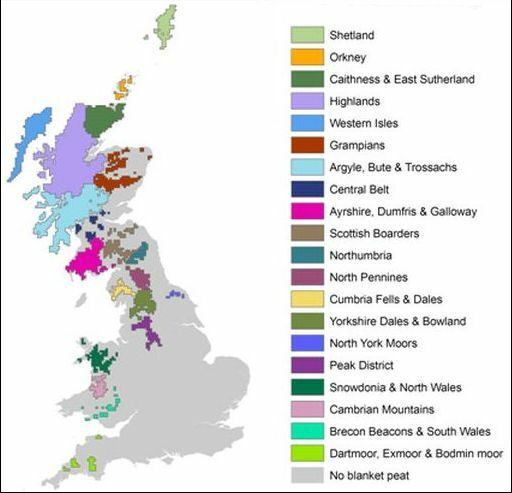 places in the uplands from which no trees were visible. 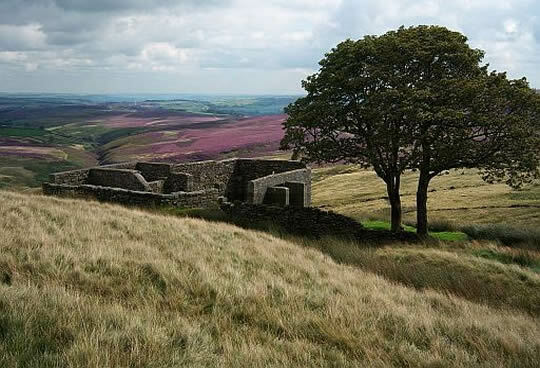 maintenance of large areas of open grassland and heath. the form of wool and meat from sheep, and milk and meat from cattle. changes in the type of grazing animal over the past few centuries. Nardus stricta (= ...) and Juncus squarrosus (= ...). The result of the combination of natural variation and anthropogenic land use is a richly varied landscape. - afforestation with non-native conifers. 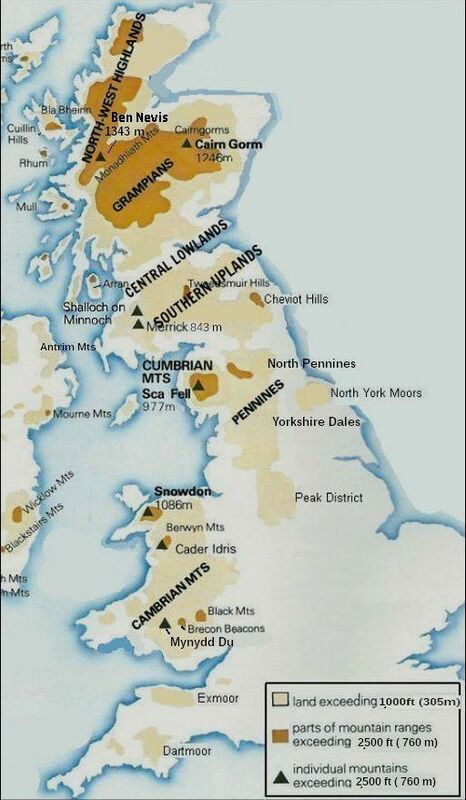 North York Moors, eastern Highlands and parts of the Southern Uplands. woodland regeneration in all but the most inaccessible places. 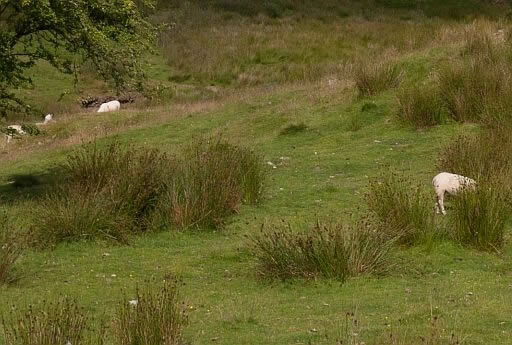 open ground have been fenced to exclude grazing animals. Some enclosures are stock-fenced, some are deer-fenced, some are quite temporary or mobile, and others are more permanent. on open ground to create new woodlands which are nearer to natural communities than are the all-too-familiar dense conifer plantations. houses and settlements in remote places. when the cattle were taken up the hills to graze the high pastures.